Valentine’s Day can seem an unnatural mess of chocolate, roses, and grand gestures from panicky partners. Here at Margaritaville Caribbean, we know that what you really need is a holiday not found on any calendar. One without a dedicated aisle in the card store. A Valentine’s Day to celebrate female friendship—a Galentine’s Day, if you will. Celebrated the day before Valentine’s Day, Galentine’s is THE unofficial holiday dedicated to ladies who love their besties. And, should you be in the sunny Caribbean for this all-important day, what better excuse is there to treat yourselves to a day together in the perfect setting? 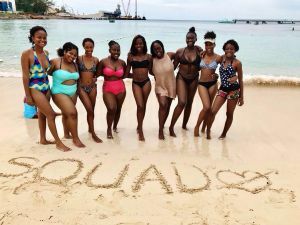 So, gather up your besties and get ready to make memories with our list of favorite Galentine’s activities on the islands. 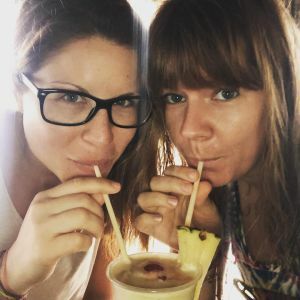 This one’s kind of obvious, but when you’ve got access to tropical sun, swim-up bars—and most importantly—crystal blue seas and sugar sand beaches, we can’t think of a better way to spend the day with your girlfriends. Whether you’re perfecting your tan, or just sipping away at a cold drink, we offer seven perfect settings—from the Caribbean’s top-rated pool at Margaritaville Caribbean Grand Turk to endless ocean side fun at Negril’s Seven Mile Beach—to catch up and spend quality time alongside your friends. While there are few things we love more than basking in the sun, sometimes it’s nice to take a break, grab the girls, and exercise some retail therapy. 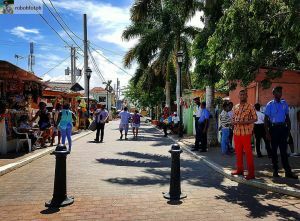 There are tons of shopping options in Montego Bay, St. Thomas, and Grand Cayman—especially duty-free ones—so it would almost be a crime against fashion not to indulge. Celebrate Galentine’s Day in style and bond over great finds and even greater company. Happy hour is the best time of day in our books. And lucky for you, Margaritaville Caribbean Grand Cayman and Montego Bay offer half-off drinks and appetizers when the clock strikes five. After a day spent lounging on the beach, cool down with a famous ice-cold margarita. There’s nothing like drink deals and delicious appetizers to get the conversation (and gossip!) flowing as you catch up and relax with the girls. What better way to celebrate Galentine’s Day than with an aptly named Ladies Night? The sun may be going down, but the party is just turning up. 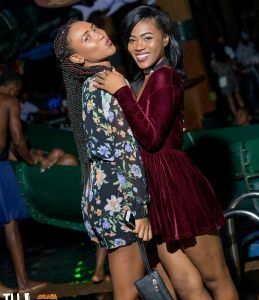 Ladies leave your men at home and enjoy a girls’ night out at Margaritaville After Dark Montego Bay on Thursdays and Ocho Rios on Saturdays. You and your girls are guaranteed free entry before midnight, which is just another reason to hit the dance floor, grab a drink (or two, or three…) and celebrate your squad. Any day can be Galentine’s Day when you’re on vacation with your besties! Reach out and start planning your next girl’s trip excursion with us today.